Angelina Palumbo is the Director of Education Abroad at New Mexico State University. She also is the program coordinator for Aggies Go Global, which promotes and helps finance student volunteer, research and conference attendance internationally. 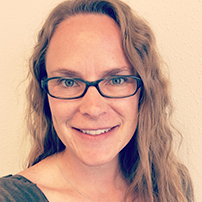 Angelina is a graduate of NMSU completing her undergraduate in Foreign Languages and Latin American Studies, with minors in Linguistics and History and has her Masters degree in Education: Curriculum and Instruction. She has traveled to 40 countries and studied abroad in Guatemala, Brazil, Uruguay, and Argentina and did research in Spain. Her passion for travel, learning languages and international collaboration has provided her students with the inspiration, encouragement and support necessary to find their own adventure. Angelina has created many programs to help support non-traditional, and underrepresented students who would otherwise not have the opportunity to go abroad. She has presented throughout the United States at International Education conferences, and loves sharing the power of positivity and empowerment to all she meets.